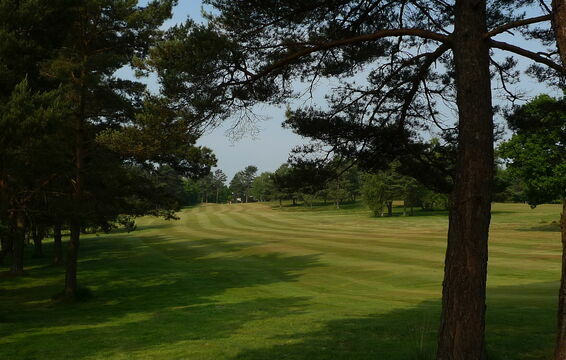 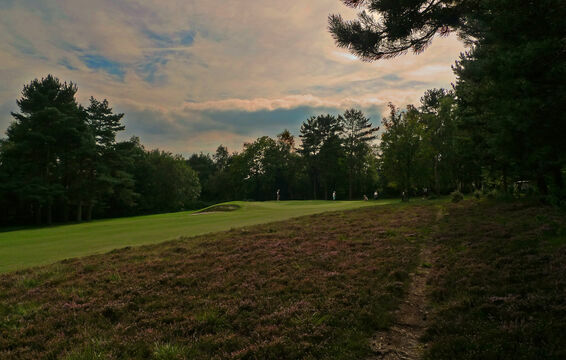 The 10th hole is the second of three par fives at Crowborough Beacon and offers a genuine birdie opportunity. 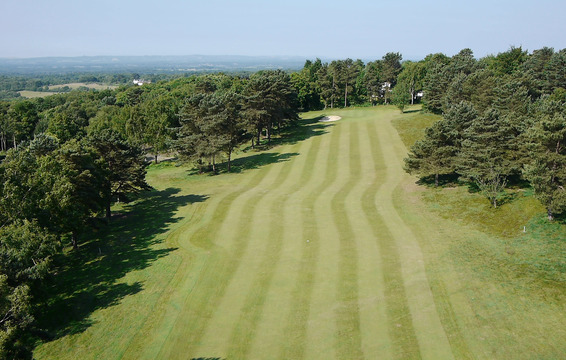 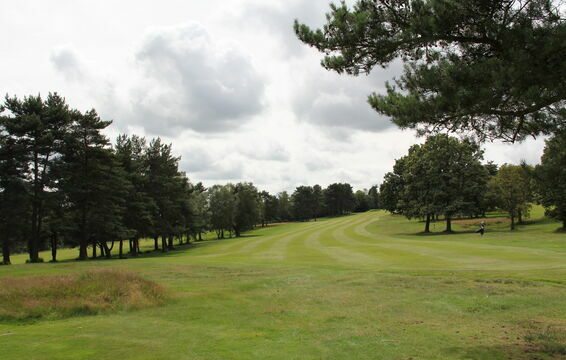 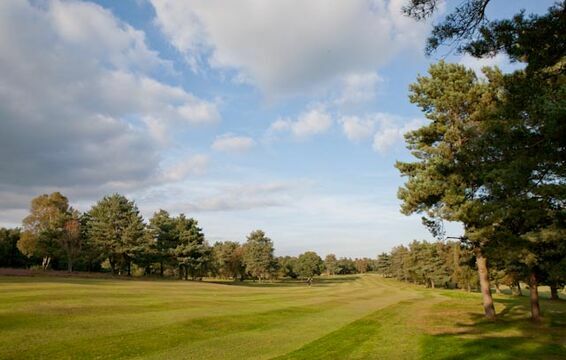 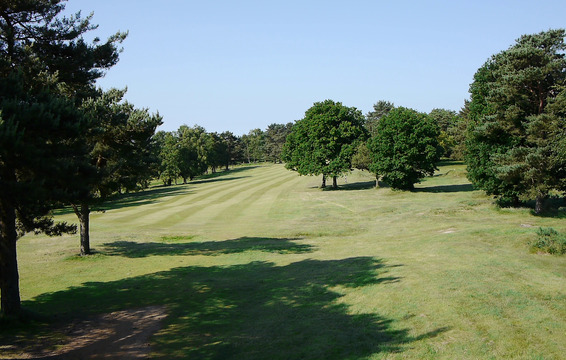 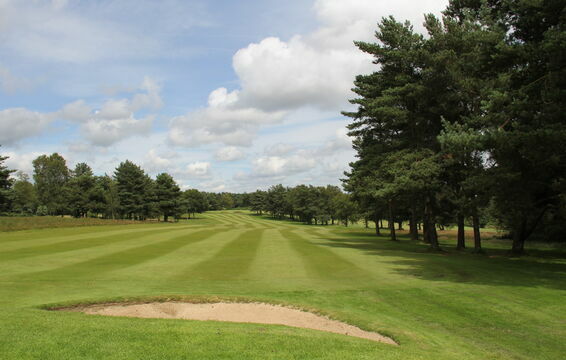 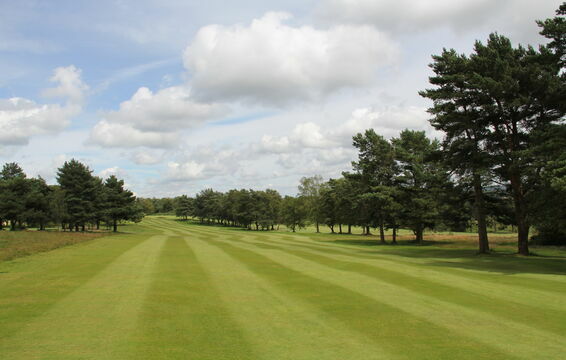 Nevertheless, the hole is a very decent challenge with a drive down a narrow avenue of trees to a generous fairway turning into a left to right dog-leg, gradually playing uphill and across a gentle right to left slope. 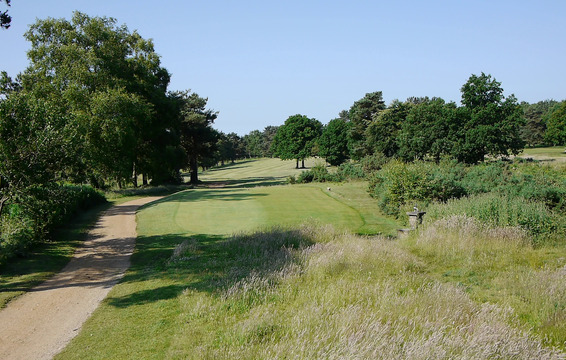 The carry is 173 yards over mixed grass and heather with a border of trees on the left-hand side and mature gorse on the right. 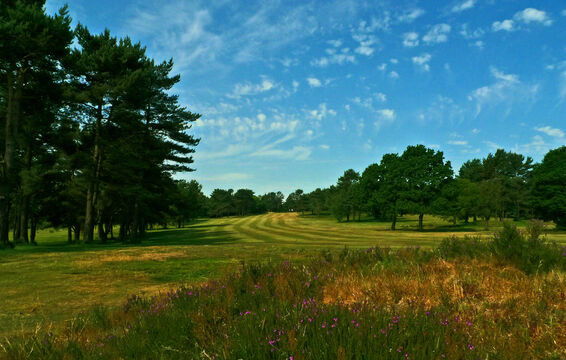 In addition, heather is found in abundance on the right-hand side between the 10th and 12th fairways up to the 12th tees, and flourishes from about 100 yards short of the 10th green.